Easy to manoevre but firm to the ground once weight is applied. All welded tubular steel construction with an epoxy powder coated finish for strength and durability. Available with or without handrail. 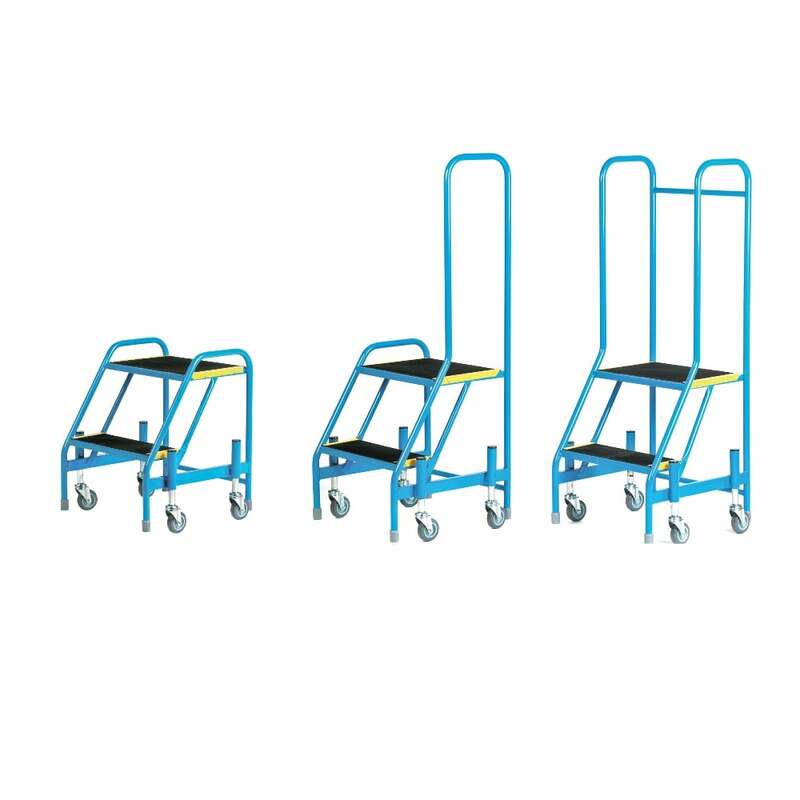 Spring-loaded castors allow the feet to lower to the ground under the operators weight. Non-slip ribbed rubber treads that are clamped to steel tread by using a high visibility yellow steel strip to prevent the edges from lifting. Castor Dims: 4 x 75mm Dia. Swivel Non-marking grey rubber.